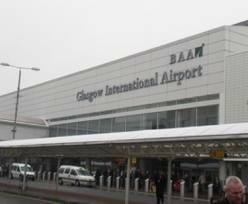 Almost 740,000 people travelled through Glasgow Airport in September 2012 representing an increase of 5.6% compared to the same period last year. International traffic was up 9.7% with many passengers making a late dash for some summer sunshine. European destinations such as Rome, Faro, Malaga and Alicante proved popular along with long-haul routes such as Emirates’ Dubai and Air Transat’s Toronto services. Amanda McMillan, managing director of Glasgow Airport, said: “It is very encouraging to be able to continue our trend of passenger growth by reporting such positive figures for September. “It is also significant that domestic traffic has returned to growth, with Flybe taking over the East Midlands route which was previously served by bmi Regional.